The AIT protocol processes and filters music for a therapeutic outcome. Using a special device that can't go above safe hearing levels, so wearing headphones during the Berard AIT listening sessions will not cause any harm. In Berard AIT, the headphones used are of a superlative quality. These headphones are expensive, recording studio headphones, with a good impedence at the top of the range of headphones for acoustic precision. The music played back via an AIT device is electronically modulated. The person never hears the full musical (frequency) spectrum - high and low broad band filters remove either of these randomly. The music intensity is vastly different to listening to music on headphones recreationally. When a person undergoes Berard AIT, the music levels are determined by means careful attention to the client's comfort levels. No settings are above 80 dB's output and so the person is protected against damage to the auditory system due to sudden excessive changes in loudness levels. Recreational music from headphones isn't the same. People often tolerate music far louder through headphones than through free-field listening. One of the top manufacturers of headphones internationally, Beyerdynamic, places warnings to that effect on their equipment packaging, which states that listening to music through these headphones at levels louder than 80 dB's will cause irreversible hearing loss. 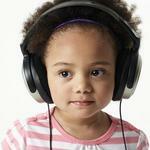 No child has adequate audiological knowledge to know when music is "too loud" and when the headphones are on, so parents must check sound levels when allowing a child to use headphones at any time. We recommend that headphones not be used for listening to music for about 6 months post AIT. 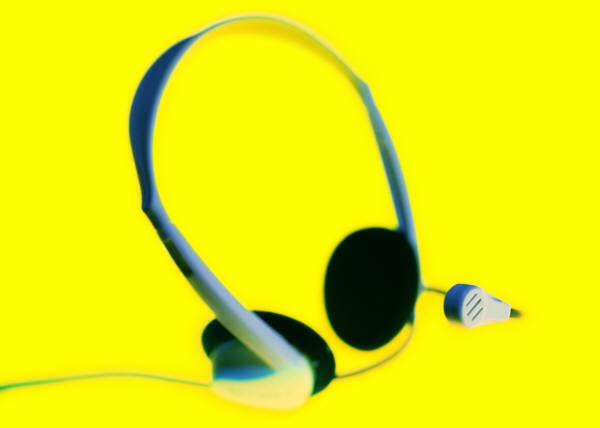 The use of headphones for audiological testing, educational tapes, books on tape, academic lessons on computers with spoken words is permissible. Important Note: Do not allow headphones to be used by a child for listening to music, unless it is done at at a safe level, below 80 db. 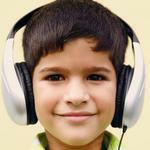 Parents must check the volume BEFORE allowing a child to use headphones. Parents and professionals must be cautious about headphone use for music since it has been reported that listening repeatedly to loud music with headphones can have a negative impact on AIT results. If headphones are needed in certain situations (such as while driving in the car, or for viewing the movie on an airplane, try putting the headphones around the neck and turning up the volume to a level that can be heard by the listener. This allows the sounds to be carried to the auditory system through the atmosphere, which is the way the ear is designed to work. The direct volume level that is unmoderated by environmental sound has distorting effects on the ear. Do your best to avoid loud rock concerts, or loud parties and use ear plugs temporarily at that event if there will be extended exposure. Long term exposure to loud extended music in a disco or rock concert is considered to be in the dangerous category for hearing. These are not high quality sound but they are good for use after AIT because of the way the earbuds sit outside the ear. They do not force the sound into the ear canal and hit the eardrum, but rather, sit against the bone to conduct the sound, hence the perception of lower sound quality. These are what are called “open-back” headphones. They do sit over the ear, but they have openings in the back of the earphone that allows some of the percussion of the music to escape. It is important to remember that even though these allow some music to escape, turning them up to loud volumes would still cause too much vibration so they should only be used at low to moderate volume levels. We recommend to parents that they do what they need to do until AIT, but then wean the child OFF the ear plugs or noise canceling headphones, except in situations where we would want to protect any normal listener such as during loud performances, fireworks, etc. From what we know about the low levels of the brain, mainly the brain stem level systems for noise suppression, is that in the case of noise cancelling headphones, they are kept functioning by minute-to-minute daily use. For example, using earplugs to damping noise so we can sleep. But it is a little like a muscle: use it or lose it. The best research along these lines is for much more severe auditory deprivation than mere addiction to noise suppression gear. Research is done on children with severe, chronic, long standing middle ear (conductive) hearing loss. It has also been studied in lab mice that were purposely deprived of sound for crucial days of development. In the mice where one could look at structures, many brain stem cell systems were under-developed compared to the normal-hearing mice. With hyperacusis or hypersensitive hearing, we have the added problem of the person's damping defense against noise which means the stiffening of the cochlear hair cells to temper the sound coming in, which causes the depressions in the audiogram or Listening Test or "greater hearing loss", when not using the ear protectors. "Using earphones for hours at high volumes basically causes '"shock and awe" to delicate hair-like cells deep within the inner ear that help the brain process sound... After years of abuse, those structures won't function anymore." Headphone Use After Auditory Integration Training! Dr. Berard stressed that headphones for loud music should not be used after doing his AIT method. Headphones are typically used for personal listening, while the average listener plays the volume too loudly. Dr. Berard's concern remains with the health of the middle ear, the quality of the headphones - and most of all the intensity of the sound coming from the headphones. Dr. Berard describes the impact as follows: "After AIT, excessively loud volume delivered by headphones may cause a disruption in the balance established. Without headphones, the ear canal works like a shock absorber. The eardrum is the second shock absorber, and the ossicles are the third shock absorber, all protecting the cochlea. With headphones, sounds go directly to the eardrum, thereby taking away the first protector, allowing sound to attack the cochlea more directly. The headphones per se, do not cause regression after treatment. The intensity level of the excessive volume input from the headphones causes the impact on the acoustic reflex, which in turn directly impacts the cochlea." "From the moment I became interested in the problems of hearing, I have been aware of the studies by the health organizations concerning hearing deficiencies caused by wearing headphones for certain occupations. If it was admitted that wearing headphones to listen to speech or music could lead to some damage to normal individuals, it is obvious that someone who had been treated with AIT, who had some problem of hearing, would be more sensitive to all hearing aggressions, including wearing headphones. This is the reason why I forbid the use of headphones, or at least, if people have to do this because of their work, to minimize the amount of time for this use." This constant aggression is transmitted to the ossicles, then to the inner ear. This explains why many of people working with headphones have a trough, or drop on 4000 Hertz on their Audiogram or Listening Test, similar to that of people working in noisy factories.